The CNY 2019 is almost at our doorstep! …which means that you should be starting your new CNY menu with us by now. 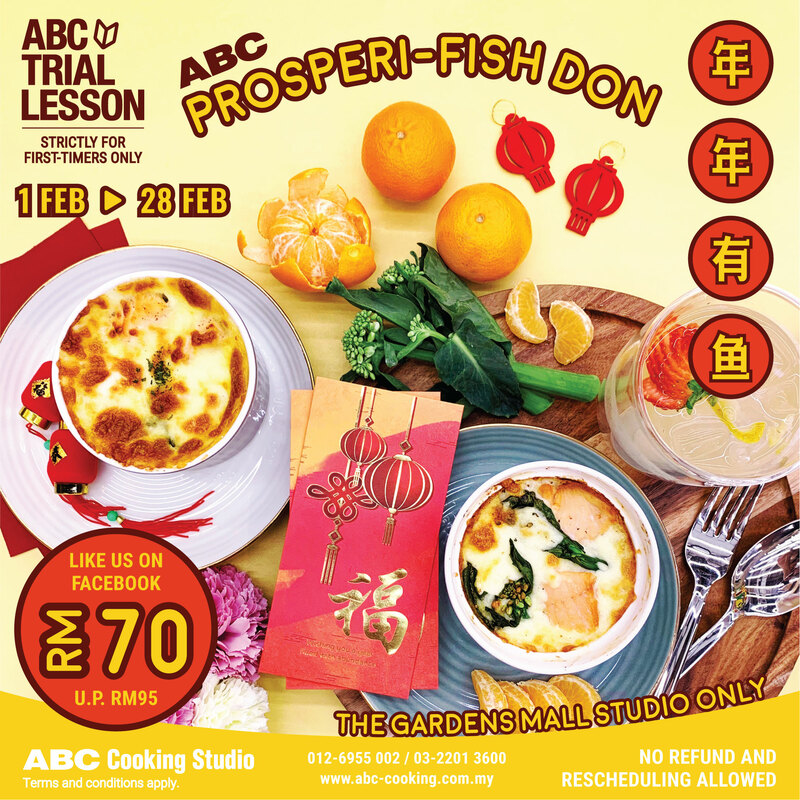 Prep for your journey back home for reunion dinners and family gatherings by learning our ABC Prosperi-Fish Don! Celebrate this new year with our hearty donburi. A classic Seafood Doria, impressive yet simple Japanese rice gratin dish topped with fresh cooked salmon trout and Kailan over milky rice with cheese. It’s a healthy, delicious bowl paired with refreshing Yuzu Lemonade. This menu is available at The Gardens Mall Studio only.